The symposium will include a demonstration of mechanized tree removal at Petrifying Springs Park & Golf Course. That’s a loaded question if there ever was one and the answers will be presented at the Symposium on Large Scale Urban Tree Removal & Utilization Thursday, January 7 in Somers, WI. With the increased number of trees killed by invasive insects and disease, municipalities are trying to find the most economical way to remove trees, while also encouraging alternative uses for urban wood materials rather than disposal of them in a landfill. This program will provide attendees the opportunity to learn about current urban wood utilization efforts, urban tree removal options, markets for urban wood and to participate in a panel discussion on the Kenosha County Parks Tree Removal Project. An outdoor session will include a demonstration of mechanized tree removal. Scott Koerner, owner of Koerner Forest Products, a multi-faceted timber harvesting and trucking company. Scott Lyon, Forest Products Services Specialist of WDNR, provides assistance to forest products companies and private individuals, including wood utilization and marketing plans for trees affected by invasive species, disease or storm damage. Jon Rudie, Parks Director for Kenosha County, has worked for the organization for more than 40 years. Kim Sebastian, a Regional Urban Forestry Coordinator of WDNR, assists communities in building sustainable tree care programs with strong, local support through technical and public awareness assistance, education, training and resource development. Don Peterson, Executive Director of the Sustainable Resources Institute ( SRI), has more than 30 years of experience with timber sales and marketing forest industry products; he has been working on urban wood utilization projects for the past 13 years. Dwayne Sperber, owner of Wudeward Urban Forest Products, is a founding partner of Wisconsin Urban Wood, and was appointed to the Wisconsin Urban Forestry Council in 2014. 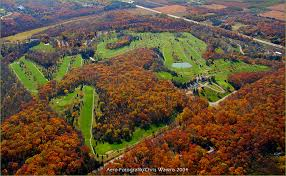 During the afternoon session at nearby Petrifying Springs Park & Golf Course, attendees will be able to observe urban tree felling and removal operations with mechanized logging equipment. This type of equipment has been used to remove large amounts of trees in several Wisconsin communities. Mechanized removal is one of the safest and most efficient tree removal methods and often a low cost option to remove a large number of urban trees under the right circumstances while also producing the volumes of wood needed to effectively market urban wood. The program is being organized by the Sustainable Resources Institute, Kenosha County Parks Department, WDNR Division of Forestry, USDA Forest Services’ Forest Products Marketing Unit, and Wisconsin Urban Wood. Registration is $20 per person and includes lunch. Click here to register: sustainableinc.org/events. For additional information, contact Kari Devine at kari@sustainableinc.org or 877-284-3882.